This is the episode broadcast at 2am on Monday 18th March 2019. You can listen again for 30 days (until Wed 17th April 2019) on BBC Sounds via this link. 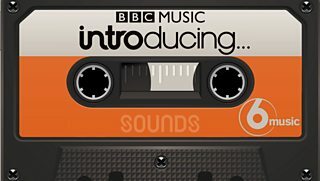 Alternatively to receive the show automatically every week as a podcast, subscribe to "BBC Music Introducing Mixtape" wherever you get your podcasts from. And if you enjoy the show please do rate and review us - for instance on iTunes - it'll help other people discover all the new music we feature each week. "Hi - I'm a national radio plugger... I came across 'YOURTRACKNAME' today, I'm a big fan of the single and wanted to find out if you have anyone looking after national radio yet?" Be warned: this does NOT make you unique or special. Many artists receive similar emails every week. What it means is that this person wants you to pay them money in the hope of getting more national airplay for your music. In any case buying promotion services from a stranger - just because they happened to send you an email - is not a wise use of money, especially at the start of your career. In our experience, emerging artists can achieve very much better results themselves than by hiring a plugger - simply by contacting radio shows and DJs direct via social media. For suggestions on how to do your own music promotion see the free advice section at my Fresh On The Net blog (freshonthenet.co.uk). If you're still determined to engage a PR firm, there are over a hundred to choose from. Every one of them has an impressive-looking client lists. But just because somebody once did promotion for a famous label or artist doesn't mean they did a good job. So before parting with money, always do a thorough search on musician forums first to see if other artists have had dealings with the company in question. And always ask for a list of national radio airplay they've achieved in the last 6 months in writing. Any reputable plugger will be eager to boast of the programmes, dates and artists concerned - which you can then verify on the BBC website. And keep a record of all correspondence in case of a dispute later. But to be honest radio is actually less important right now than building a loyal audience for your music. A few extra radio plays here and there honestly won't make a huge difference at this point in your career. Putting in the hours playing live, regularly posting on YouTube and of course writing more killer tunes. The time to seek professional PR services is when your live audiences are consistently in the hundreds, and your online likes regularly in the thousands. With that kind of traction, a major investment becomes worth risking to help take the next step up. The best pluggers and PRs charge a lot of money because they're good at their job. But again it doesn't follow somebody will be good at their job just because they charge a lot of money. Check out which indie labels regularly get their releases played on your favourite radio station. Then contact those record companies to find out which PR firm they use. 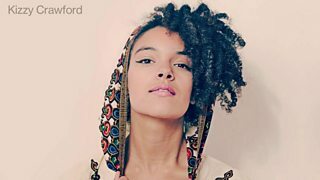 And however things pan out, don't forget to carry on uploading your new releases to BBC Introducing so that we can carry on supporting you as your career unfolds. (2) We only get enough airtime on this show to feature artists - even our absolute favourites - about four times a year, however much we love their work. So after you've been been on the Mixtape, it would be great if you could wait about 12 weeks before sending me your next brilliant track. This leaves us time to help a load of other deserving artists meanwhile.